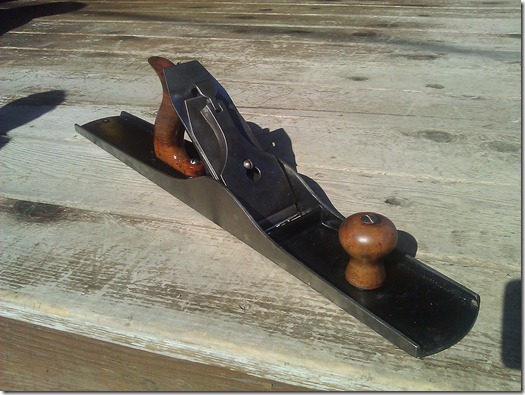 This plane is stamped with the Edward Marks’ 8-20-07 Patent frog patent date. 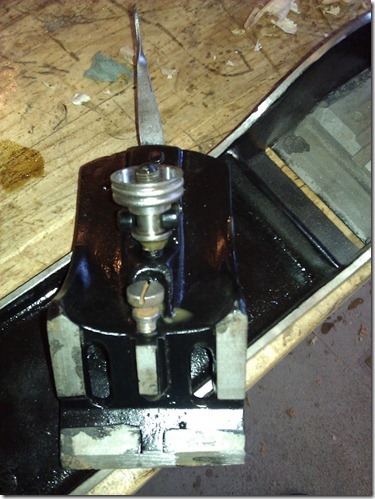 It has the frog seat from the patent, but an adjustment screw has been added to it. The adjustment screw was not in the patent. 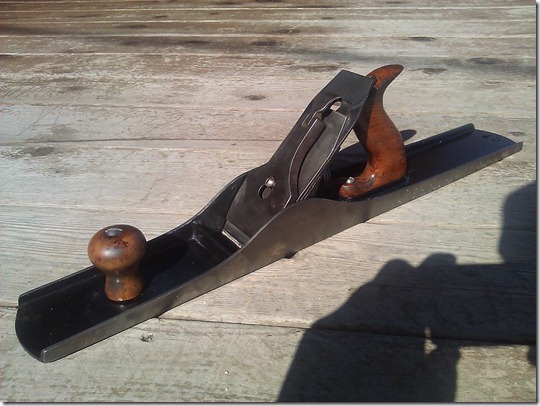 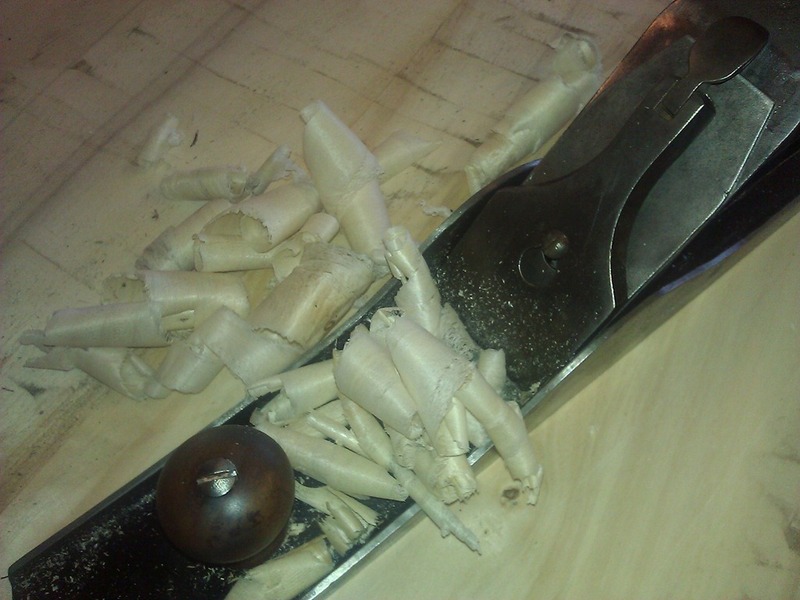 This Ohio Tool Company O7 Jointer Plane is fairly rare because the frog design. 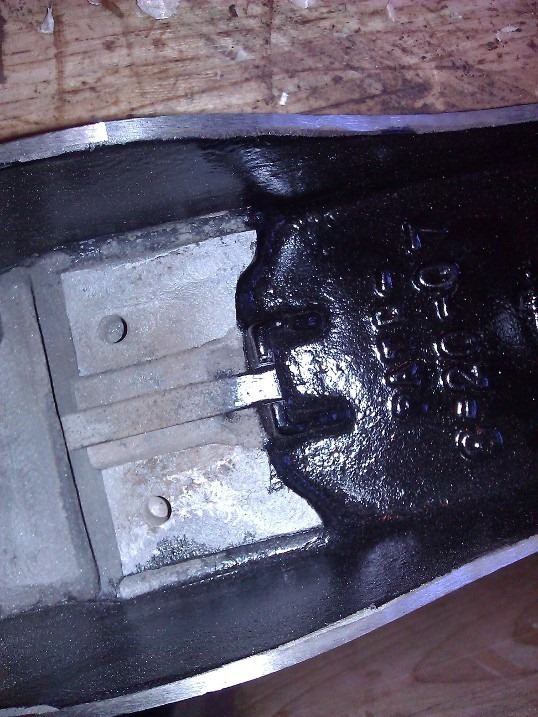 The Marks Patent design uses a tongue on the frog and groove on the frog seat on the plane bottom to maintain absolute alignment of the frog. 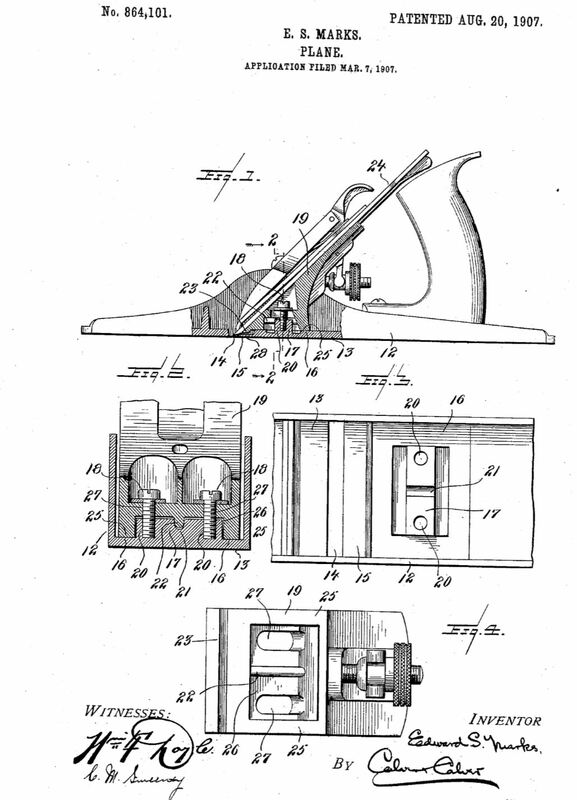 I’ve read other that have stated that a screw adjustment to make fine adjustment of the throat opening was included, but there is no indication of an adjustment screw in Edward Marks’ patent, It does show up in a later patent by Thomas A. Manley, US Patent: 1,021,369, which allows for the throat adjustment without moving the blade, similar to the flat top bedrocks and Sargent Shaw patent. 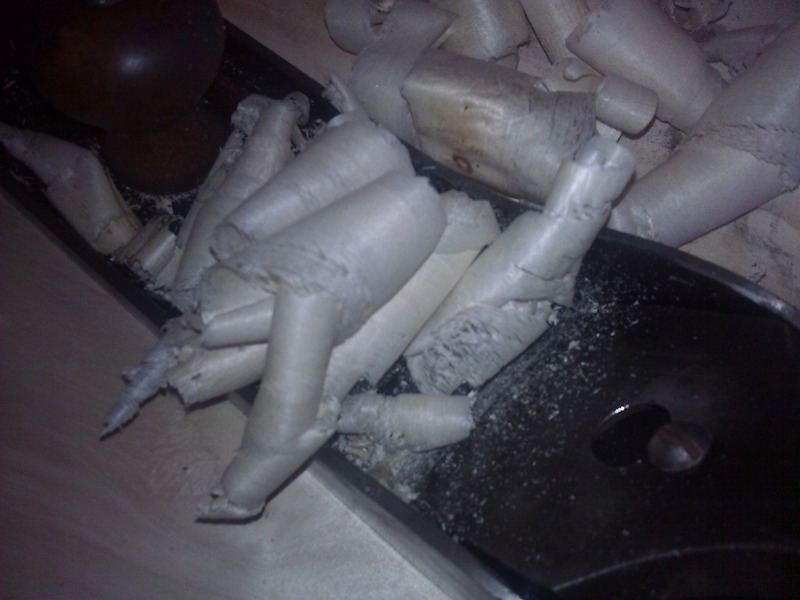 You can join the discussion on Sargent planes here. 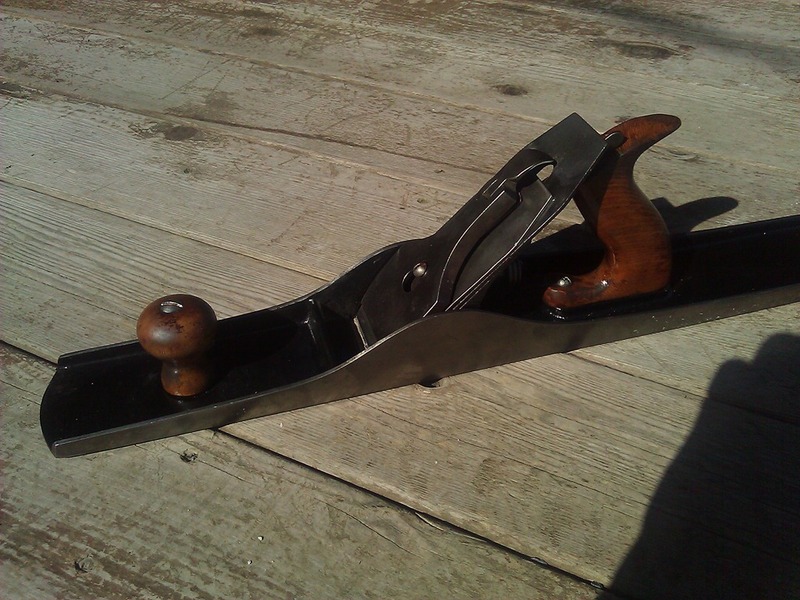 Despite being patented in 1907 they are not listed in the 1910 Ohio Tool Company’s No 23 Illustrated Price List. 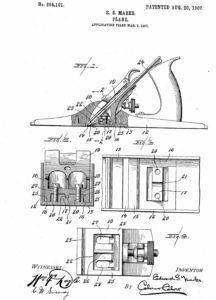 There is no mention of the patent in Roger Smith’s excellent PTAMPIA Vol 1 or Vol 2 although the patent is included in the patent list in the appendix of Volume 2. You can join the Ohio Tools plane discussion here.